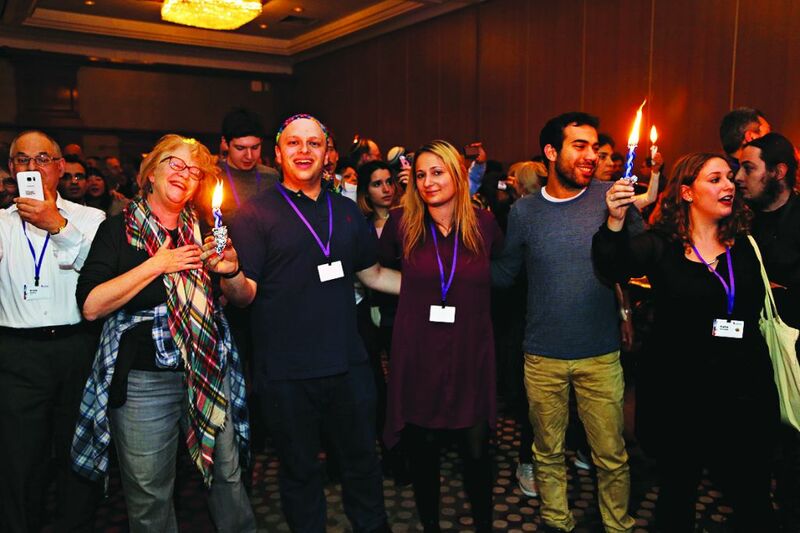 Around 2,500 participants from 41 countries to attend Limmud this weekend! About 2,500 people will descend on Birmingham this weekend to take part in the annual celebration of Jewish learning and fun, Limmud Festival. The participants, from a record 41 countries, will hear and see presenters from Chief Rabbi Ephraim Mirvis to Israeli Eurovision winner Dana International. And with the festival – which runs from 23-27 December – focusing on Sephardi and Mizrachi culture, other participants include Joseph Dweck, Senior Rabbi of the S&P Sephardi Community of the UK, flamenco dancer Leilah Broukhim, artist Siona Benjamin, Bukharan social innovator Ruben Shimonov, the Banot band, author and chef Gil Hovav, historian Jack Wertheimer, and comedians Rachel Creeger and Benji Lovitt. For those who can’t get away from a spot of politics, Momentum founder Jon Lansman will be interviewing Shadow Foreign Secretary Emily Thornberry. On the other side of the spectrum, former Conservative Party candidate Gary Mond will take part in a discussion on whether the rise of populism is good for the Jews. “Our amazing team of volunteers has fashioned a Limmud Festival where every participant can curate their own Festival journey,” said Limmud Festival 2018 chair Glaswegian Jonathan Robinson. In addition to a focus on Sephardi and Mizrachi culture, the spotlight will also be on the growing LGBTQ+ activism in the community. “We are focusing on Sephardi and Mizrahi culture – too often ignored in wider communal spaces – to expose audiences to the rich brocade of traditions stretching from Spain and Portugal to Iran, Iraq and India,” said Programming Committee Co-Chair Elliot Jebreel, himself a proud “Jewranian” and LGBTQ+ leader. Participants can choose from are 1,000 sessions that span Jewish text study, to film and yoga, and food and singing workshops. “Alongside sessions involving chavruta study, participants can explore important interfaith initiatives and the inclusion challenges facing those with disabilities,” said Programming Co-Chair Ezra Margulies. Jewish News will be reporting from the Festival next week.